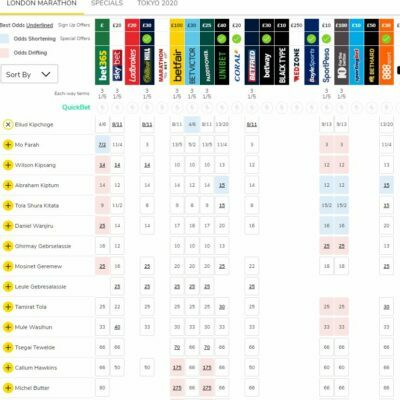 EUGENE, Ore. — As is tradition here at the Prefontaine Classic, records were shattered in bunches and world leading times were run in bulk at Historic Hayward Field, providing a memorable close to the 41st edition of this IAAF Diamond League meeting. Ethiopian Genzebe Dibaba became the fourth-fastest woman in 5000m history, just the tip of the iceberg on what was a perfect day of distance racing. At the pre-meet press conference on Friday, Ethiopian Genzebe Dibaba spoke confidently of chasing her sister Tirunesh’s world record for 5000m (14:11.15). To come close to the mark, Dibaba would have to run well faster than her 5000m personal best of 14:28.88. That she did, chasing the clock as hard as possible in a largely solo run. Despite a field that was perhaps the strongest in event history, Dibaba made 12 and a half laps look like a cakewalk, breaking away from the pack with ease and completing circuit after circuit in solitary. By 3000 meters, reached in 8:33.33, the 24-year-old was in front by 40 meters. Her split time at 3000 meters was announced as a facility record, bringing the sell-out crowd of 13,278 into a frenzy. Though not quite on world record pace, Dibaba continued to press on, hoping to crack the 14:20 barrier. Doing so would put her among a very elite group of Tirunesh Dibaba, Meseret Defar, and Almaz Ayana. Dibaba quickened her cadence with a lap to go, flying past the East Grandstands, around the Bowerman Curve, and down the homestretch with a determined look. To a roaring standing ovation she’d break the tape in 14:19.76, the fastest time every on U.S. soil. Well behind Dibaba, Faith Kipyegon took second in 14:31.95, in her debut at the distance, followed by Vivian Cheruiyot in 14:46.69 and Sally Kipyego in 14:47.75. For much of the past two years, Kenyans Ezekiel Kemboi and Jairus Birech have been the class of the world in the 3000m steeplechase. 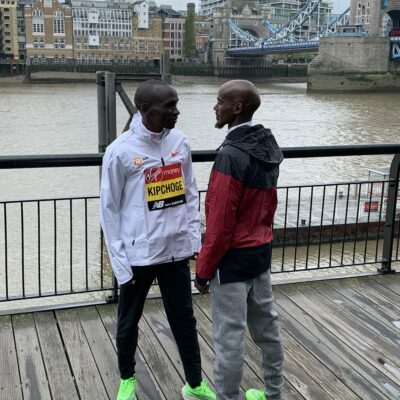 Kemboi is the two-time Olympic champion, while Birech won Commonwealth Games silver and was the African Champion in 2014. Here today, the pair quickly found their familiar spots at the head of the field. Battling like two prize fighters, blow for blow and leap for leap, Kemboi and Birech rounded the oval with a familiar rhythm. Neither wanted to be the Kenyan to fold. It would take the final water jump to truly decide a winner, as Kemboi cleared the barrier with ease while Birech had a slight miss-step. Breaking the tape in 8:01.71 to Birech’s 8:01.83, Kemboi took the win, pocketed four IAAF Diamond League race points, and then entertained the Hayward Field faithful with his traditional dance moves. Kemboi’s time was a world lead, meet record, and facility record. 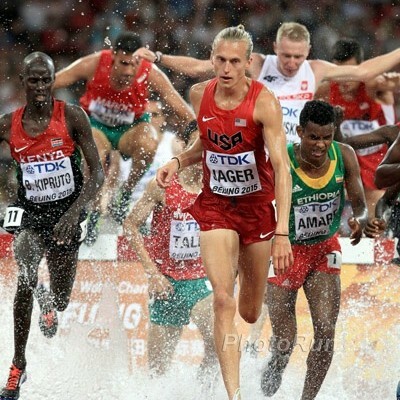 Behind Kemboi and Birech, American Evan Jager made a valiant attempt to better his own American record, coming up less than a second short. 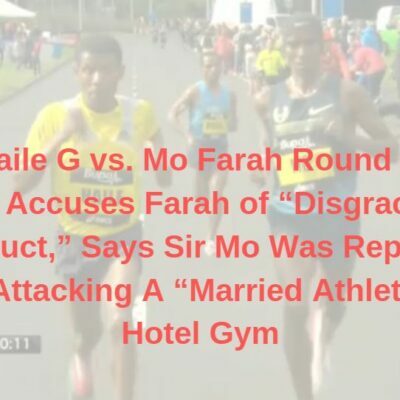 Still, the 26-year-old was very pleased with his 8:05.28 performance, especially considering the fact that he battled bravely with World Championships silver medalist Conseslus Kipruto. Jenny Simpson, the reigning IAAF Diamond League champion at 1500m, had said on Saturday that the 2015 season was all about staying competitive at the front of the field. In her first metric mile of the outdoor season, Simpson executed a flawless strategy, remaining close to the front before sprinting powerfully to victory. While American compatriot Shannon Rowbury went with rabbit Phoebe Wright for the race’s opening half, Simpson sat meters back leading the chase pack. Through 800 meters, Rowbury, Simpson, and Dutchwoman Sifan Hassan were in fine form for podium finishes. A lap and a half later, it was Simpson, Hassan, and Kenya’s Mercy Cherono going three wide entering the homestretch, all fighting for the win. Simply put, Simpson had the best strength and sprint on the day, holding steady in the front and breaking the tape with a pump of the fist in 4:00.98, the second-fastest time in the world this year. Cherono took second in 4:01.26 with Hassan third in 4:01.65. Rowbury wound up fourth in 4:02.28. “I got to just kind of feel out the race for 800 meters and that was really fun to do,” said Simpson. “There’s not going to be a single race this year that’s easy to win, so it really feels good to start off with a win and a good time. Outside of the top four, high school senior Alexa Efraimson drew a loud applause from the knowledgeable crowd, setting a new national junior and high school record with her 4:03.39, seventh place performance. The 18-year-old, who will graduate from Camas High School in Washington in two weeks, time hung tough in the pack, not relenting in the homestretch. Efraimson’s performance even drew a congratulations from Simpson, whom Efraimson considers a role model. Minutes after Simpson gave America a win in the women’s 1500m, it was up to compatriot Matthew Centrowitz to give the red, white, and blue a sweep of the meet’s two iconic middle distance events. In his way, though, was reigning Bowerman Mile champion Ayanleh Souleiman. Souleiman entered today’s race with the sole purpose of winning, earning coveted IAAF Diamond League race points and protecting his title of Bowerman Mile champion. 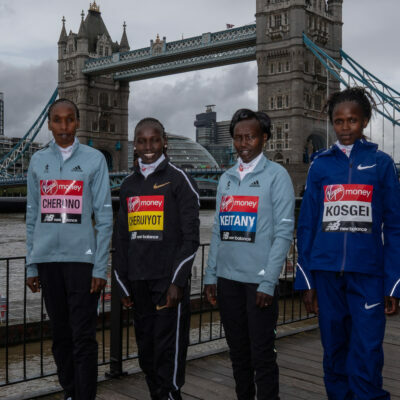 Facing a stellar field that included Kenyans Asbel Kiprop, Silas Kiplagat, and James Magut, Souleiman made sure to stay close to the lead pack. Through the half mile in a modest 1:59.64 (well behind the pacemakers), Souleiman and Centrowitz found themselves leading. The University of Oregon alum Centrowitz had came into the race wanting to stick as close to Souleiman’s shoulder as possible. In the final lap, there wasn’t even a foot separating the pair. Down the homestretch as if attached at the hip, Souleiman held the slightest advantage, with Kiprop a step further back. Despite a late challenge by Centrowitz, the IAAF World Indoor Champion in Souleiman was able to maintain his lead and successfully retain his crown, stopping the clock in a new world lead of 3:51.10. Centrowitz was a tenth of a second back in 3:51.20, followed by the fast-closing Kiprop third in 3:51.25. 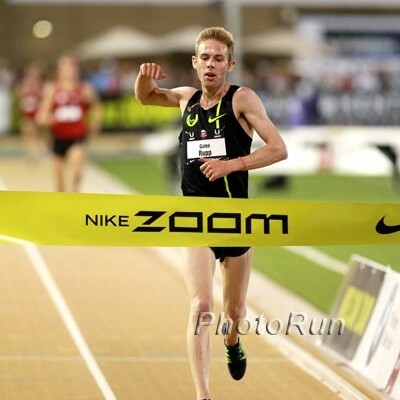 “It’s the best place I’ve finished in any Diamond League 1500m or mile. 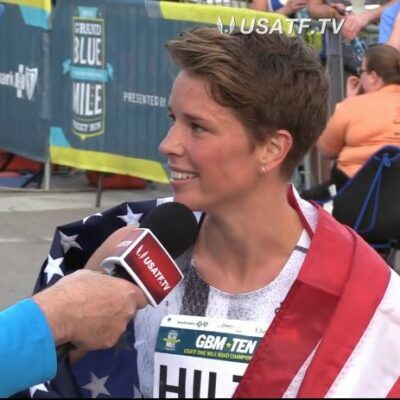 Even though I was close to the win, I was definitely happy with how I finished and it’s a good step in the right direction,” said Centrowitz. Interestingly, all 13 runners in the Bowerman Mile field finished under 3:57.34. As favorite, reigning world champion Eunice Sum had to work very hard to secure a win in the women’s 800m. A tightly bunched affair through one lap, American Brenda Martinez opened the race up with a strong surge less than 300 meters from the finish. Stringing the field into single file, Martinez charged on until Sum and Ajee’ Wilson came up on her shoulder as they approached the final homestretch. 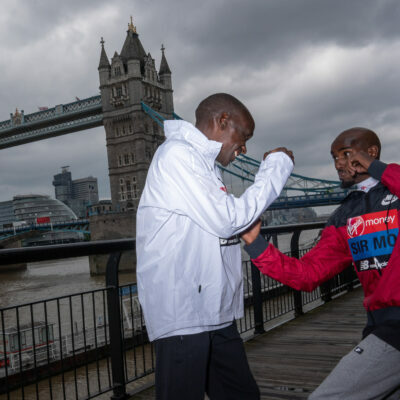 While Martinez tightened up slightly and faded, Sum and Wilson went stride for stride until only five meters remained, when the Kenyan gained a step’s advantage. She’d win in a world-leading 1:57.82 to Wilson’s 1:57.87. Oregon Track Club member and reigning IAAF World 800m Champion Mohammed Aman rebounded from a rough 1:47.38 season opener to win here today in front of his adopted home crowd. Racing in a retro Oregon Track Club singlet, Aman took the lead with 250 meters to go and rounded the Bowerman Curve with confidence. He’d win in 1:44.92, with Botswana’s Nijel Amos second in 1:45.06 and Olympic 1500m champion Taoufik Makhloufi third in 1:45.17. Aman wasn’t the only Oregon Track Club member to win today. 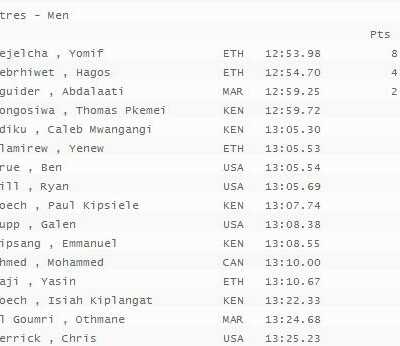 Ben Blankenship dug deep to match Jonathan Sawe and Timothy Cheruiyot’s kicks in the homestretch of the International Mile, ultimately passing the pair of Kenyans on the inside to win in 3:55.72. The next stop of the IAAF Diamond League will be in Rome on June 4.